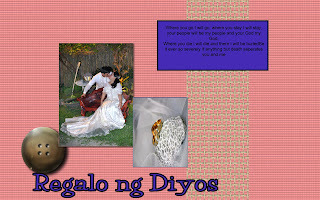 here's my first ever try sa digiscrap..:) looks like ok..pero I know i have lot's of things to learn pa.
but at least I had my first lay out na and I'm very proud of it of course..please don't hesitate to comment..I know I need your inputs. weeeeeeeeee may updates ka na sa blog mo. ok naman layout mo on digiscrapping. Beware, nakaka-addict yan! an cute, mukha talagang scrapbook. i can feel the texture.